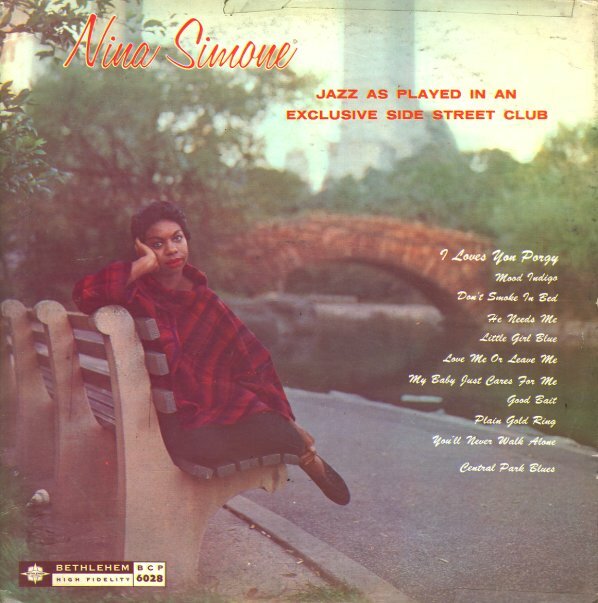 A classic set of early jazz recordings by Nina Simone – one of her first albums ever, but already with an approach that's quite different from other singers of the time! Nina's singing a fair bit of standards here, but she brings a deeply personal approach to the material – inflecting the tunes with gospel-inspired soul, and showing some very slight folksy touches – of the sort that would come in more heavily on later records. Backing is by a small combo, and tracks include "Plain Gold Ring", "Good Bait", "He Needs Me", "Don't Smoke In Bed", and "I Loves You Porgy". © 1996-2019, Dusty Groove, Inc.